A Train Winter: An Extraordinary Story of Women, Friendship, and Resistance in Occupied France. By Caroline Moorehead. HarperPerennial, 374 pp., $15.99, paperback. In 1943, a train arrived at Auschwitz bearing 230 French women who had resisted the Nazi occupation of their country. Most were not Jews, and because of it, the members of the group fared better than other female prisoners. They were not executed on arrival and could eventually write to their families and receive packages. Caroline Moorehead, an English journalist, tells the stories of Vaillant-Couturier and other passengers on the train known as Convoy No. 31000 in a popular history that begins with their Resistance work and follows them through the liberation of France. She aims in part to show how the women’s friendships helped them endure Auschwitz and, later, Ravensbrück and Mauthausen. Some of the women clearly did benefit from reciprocal support, but fewer than 50 of 230 survived the camps, showing that female bonds — however strong — were not enough for most. With its large cast, A Train in Winter has a splintered focus that makes it at times hard to follow. But its deglamorized portrayal of Resistance work is a fine antidote to Hollywood stereotypes of that movement. This book will enlighten anyone who believes that resisters consisted mainly of handsome young men listening to encoded wireless broadcasts in cozy farmhouses in the French countryside. Best line: The commandant of Auschwitz lamented in his memoirs that people couldn’t understand that he “had a heart and was not evil,” Moorehead reports. Worst line: Natasha Lehrer noted in a review in the TLS that the name of the anthropologist Germaine Tillion is “unfortunately misspelled throughout, including in the index, where a cursory glance might suggest that she was related to the politician and resistant Charles Tillon,” who also appears in A Train in Winter. Published: November 2011 (HarperCollins hardcover), October 2012 (HarperPerennial paperback). One-Minute Book Reviews publishes reviews of fiction, nonfiction and poetry by Janice Harayda, an award-winning journalist and former book editor of the Plain Dealer in Cleveland. Please follow Jan on Twitter @janiceharayda for her tweets on books. 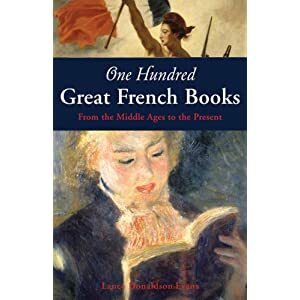 From One-Hundred Great French Books: From the Middle Ages to the Present (BlueBridge, 2010), by Lance Donaldson-Evans, professor of romance languages at the University of Pennsylvania. D-Day: The Battle for Normandy. By Antony Beevor. Penguin, 608 pp., $18, paperback. D-Day has inspired the literary equivalent of an amphibious assault landing. Cornelius Ryan set the tone with The Longest Day, a modern classic of narrative nonfiction that has helped to shape how generations of Americans have seen the invasion of Normandy on June 6, 1944. Stephen Ambrose, Max Hastings and others later wrote widely praised books about the campaign that led to the liberation of France from Nazi occupation. But before the publication of D-Day, no major book about the battle for Normandy had appeared in more than twenty years. In that time, many participants in the invasion, code-named Operation Overlord, had died and left diaries and letters that found their way to historical archives. Antony Beevor makes superb use of newly available primary sources in an international bestseller that gets its first American paperback edition this month. D-Day is nearly twice as long and much more scholarly than The Longest Day, and it makes heavier use of military terminology decoded in an up-front glossary. It also takes a harsher view of some of the participants in the invasion, especially Field Marshal Bernard Montgomery, the British officer who commanded the ground troops. For all this, the Normandy campaign inspired epic heroism on and off the battlefield, and D-Day includes accounts of exceptional stoicism or selflessness. A staff member at one field hospital expressed amazement at how uncomplaining the wounded were: “It’s such a paradox, this war, which produces the worst in man, and also raises him to the summits of self-sacrifice, self-denial and altruism.” That contradiction may be as old as war itself, but Beevor shows how – for both sides – it showed itself in unique and important ways amid apple orchards and cornfields scattered with poppies. Worst line: “In their Normandy battles, the Poles had lost 135 officers and 2,192 men.” It may be military jargon, but the implication that officers aren’t men sounds odd. Published: 2009 (Viking hardcover), Sept. 28, 2010 (Penguin paperback). About the author: Beevor won the Samuel Johnson Prize, the leading international prize for nonfiction, for his Stalingrad. In an interview posted on YouTube, he talks about topics that include how he used historical sources for D-Day. Furthermore: D-Day shows the contributions of nations often slighted in accounts of the Normandy campaign, especially Canada. Beevor writes of the pilots for Allied air attacks in the Mortain sector in France: “It was almost an aerial foreign legion, with British pilots, Belgians, French, Canadians, Australians, New Zealanders, South Africans, Norwegians, Poles, an Argentinian and even a German Jew called Klaus Hugo Adam (later the film-maker, Sir Ken Adam).” A Washington Post review by the Pulitzer Prize-winning critic Jonathan Yardley, posted in full on Amazon, tells more about the book. You can also follow janiceharayda (@janiceharayda) on Twitter at www.twitter.com/janiceharayda. The Dud Avocado. By Elaine Dundy. Introduction by Terry Teachout. New York Review Books Classics, 260 pp., $14.95, paperback. In 1958 Elaine Dundy won rapturous praise for The Dud Avocado, a sparkling novel about the cultural and romantic adventures of a young American in France. More than a half century later, her book has become a modern classic, driven by the unique voice of an endearingly impulsive heroine. Sally Jay Gorce has traveled to Paris search of gaiety, laughter and “shoes in the air” – apparently, something not unlike a Fred Astaire movie. Bankrolled by an allowance from a rich uncle, she finds all of those as she takes small acting roles and moves from cafés and nightclubs in Montparnasse to a villa near Biarritz. She also has a moral awakening that occurs not when she loses her virginity to an Italian diplomat – which is part of her backstory — but when she discovers that Old World glamour can mask social ruthlessness. Like its heroine, The Dud Avocado has small flaws: a loosely stitched plot, an ending that isn’t fully earned. These detract little from a book that invests Paris in 1950s with the allure others have given to the Paris in the 1920s. No matter how many scrapes Sally gets into, you never doubt her intelligence or enthusiasm for life. She writes of friends: “A rowdy bunch on the whole, they were most of them so violently individualistic as to be practically interchangeable.” The same applies many recent books: they’re “so violently individualistic as to be practically interchangeable.” The allure of The Dud Avocado – like that of its heroine – is that it is interchangeable with nothing. Worst line: “I saw us for what we really were: beggars and toadies and false pretenders.” Pretenders are always false. Reading group guide: Posted on the publisher’s site. Published: 1958 (first edition). June 2007 (NYRB reissue). In addition to The Dud Avocado, Dundy wrote the novels The Old Man and Me and The Injured Party and a memoir. Furthermore: More about Dundy appears in her New York Times obituary. The Dud Avocado has an excellent introduction by Terry Teachout, the author and drama critic for the Wall Street Journal. You can also follow Janice Harayda (@janiceharayda) on Twitter www.twitter.com/janiceharayda. Tags: Ayurvedic, Book Reviews, Books, Canada, Doctors, France, Germany, Health Care, Health Care Delivery, Health Care Providers, Health Care Reform, Health Insurance, Health Policy, India, Medicine, Nepal, Public Policy, Switzerland, Tibetan Medicine, U.S.
A specialist in Tibetan herbal medicine wanted to taste T.R. Reid's urine. The Healing of America: A Global Quest for Better, Cheaper, and Fairer Health Care. By T. R. Reid. 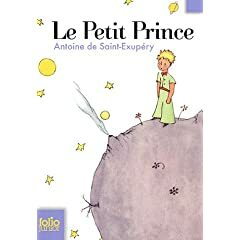 Penguin, 277 pp., $25.95. This elegant polemic argues that the American health-care crisis is, above all, a moral one: Alone among well-off democracies, the U.S. has never made a moral choice to guarantee health care for all. Americans have decided that everybody has the right to an education and a legal defense, regardless of the cost or difficulty of providing these, T.R. Reid reminds us. But we’ve never decided that everybody has the right to health care. Because we haven’t, the U.S. is the only country in which medical bills can bankrupt people. It’s the only one in which patients who have paid their health insurance premiums for years can — and do — have their policies canceled while they’re fighting for life from a hospital bed. T.R. 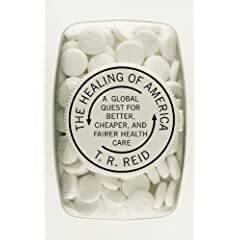 Reid offers a powerful rebuttal to that idea with fascinating and well-written portraits of the health-care systems in five countries that have universal coverage: France, Germany, Japan, the U.K. and Canada. Japan, for example, hardly has “socialized medicine.” Its widely admired approach to health care uses private doctors and hospitals and nonprofit insurers. The system involves no gatekeepers, no rationing, and no waiting lists. It offers high-quality care and ample choice for patients. People split the cost of insurance with their employers or if they are unemployed, with their local government. And the Japanese lead the world in life expectancy (85.5 years for women, 78.7 for men). Reid also evaluates the health care systems in India, Taiwan, Switzerland and other countries. And he found an ingenious way to dramatize some of their differences after an American orthopedist suggested that he have surgery on an injured shoulder. As he traveled around the world, Reid asked foreign doctors how they would treat the problem. In Nepal, he met a specialist in Tibetan herbal medicine who wanted to taste his urine before making a diagnosis. At an Ayurvedic hospital known as “the Mayo Clinic of traditional Indian medicine,” he submitted three times a day to massages of “warm sesame oil laced with forty-six herbs and medications.” These encounters add color and suspense to The Health of America without taking its focus off the moral imperatives of health care reform. Reid doesn’t urge Americans to adopt any country’s model or a “public option” of care paid for by the government (although he notes that we have a public option in Medicare, a system that its beneficiaries generally like). But he appears to believe we can’t reform the system if we continue to allow insurers to make a profit on basic health care, something no other first-world country permits: The solution lies in a nonprofit model, whether run by the government or a nonprofit group. Reid has suggested in interviews that if Congress can’t enact the needed changes, Americans may have to reform the system on a state-by-state basis, though he damns the Massachusetts approach with faint praise. – Reid has an exceptional ability to keep his eye on the ball. He deals forthrightly with the economic and other realities that health care reform would involve, such as controlling costs and creating an effective delivery system. But Reid never allows such issues to transcend the moral dimension of allowing tens of thousands of people each year to die and countless others to suffer needlessly. His powerful indictment shows why health care reform is ultimately not about politics or economics: It is about fairness, justice, and doing what is right for all Americans. Worst line: “British women tend to have their babies at home; Japanese women, in contrast, almost always give birth in the hospital – and mother and child remain there an average of ten days after delivery.” The National Childbirth Trust says that in the U.K., 2.7 percent of women give birth at home. About the author: Reid is a former foreign correspondent for the Washington Post. Listen to a podcast of T.R. Reid talking about The Healing of America. No, you’re not the only one who hasn’t heard of him. After the Swedish Academy announced that the French novelist Jean-Marie Le Clézio had won the 2008 Nobel Prize in literature, Lev Grossman wrote in Time: “The sound of America’s literary journalists searching Wikipedia en masse is deafening” www.time.com/time/arts/article/0,8599,1848582,00.html. Le Clézio’s selection may be the biggest surprise since the Italian playwright Dario Fo won in 1997. Not long after Fo won, the book editor of a major newspaper asked a group of us who were attending a National Book Critics Circle meeting, “Had you heard of him?” No hands went up. 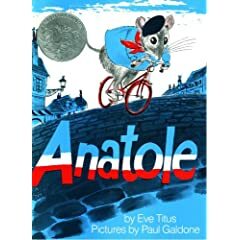 If you had asked me two days ago to name a French longshot for the Nobel, I would have said unhesitatingly, “Annie Ernaux,” whose work I reviewed on Feb. 20 www.oneminutebookreviews.wordpress.com/2008/02/20/.